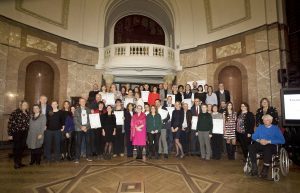 On 23 January 2018, the European Foundations’ Initiative on Dementia awarded prizes to 12 initiatives. EFID was proud to welcome 12 exciting projects that won the Award ‘Valuing the expertise of people living with dementia’, in the community of practitioners working on dementia-friendly environments across Europe. Congratulations! The award-winning projects were selected for their outstanding work on valuing the autonomy, dignity and right to self-determination of people living with dementia. The importance of listening to the voice of people living with dementia to value their expertise is prioritized in informing all of these initiatives. This takes different forms across a person’s journey with dementia, reflected in the different approach of the projects. • Initiatives to empower people living with dementia as experts in research projects. The official prize ceremony took place in Sofia, Bulgaria, under the Bulgarian Presidency of the European Union on 23 January 2018 as part of a two-day programme of workshops and networking with presentations from notable initiatives from previous years, experts and key stakeholders. I was particularly touched by the key note speaker Ms Helen Rochford-Brennan, Chair of the European Working Group of People with Dementia. Her speech “Why my voice matters. Moving from sadness to advocating for the rights of people with dementia” demonstrated how powerful the voice of people with dementia can be in changing the perception of the condition. 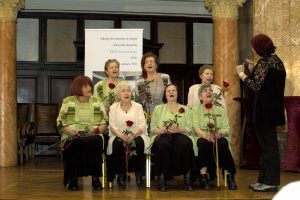 The Bulgarian Ministry of Labour and Social Policy opened the event outlining the future efforts to improve the life of people with dementia in Bulgaria. Last but not least, the beautiful choir ‘Colourful bunch’ from the residence ‘Longevity’ in Sofia, performed typical Bulgarian songs that reached deep into our hearts! I really enjoyed the informal exchange and networking among the 12 award-winning initiatives and the 20 projects awarded in the previous edition of the EFID Awards (in 2012 and 2014). There were lovely people, a nice environment (lot of snow in Sofia!) and a “feeling at home” atmosphere. The workshop produced interesting results on the theme “Valuing the expertise of people living with dementia”, on strategies to engage people with dementia and the exchange of good practices across Europe. Stay tuned on the EFID website if you would like to read the final report of the event. In brief, the European Foundations’ Initiative on Dementia (EFID) is a collaboration platform initiated in 2010 by a group of European foundations. Today, EFID comprises the Atlantic Philanthropies (IE), the Fondation Médéric Alzheimer (FR), the King Baudouin Foundation (BE), the Robert Bosch Stiftung (DE), and the Genio Trust (IE). The initiative is coordinated by the Network of European Foundations (NEF). EFID’s mission is to improve the lives of people with dementia. 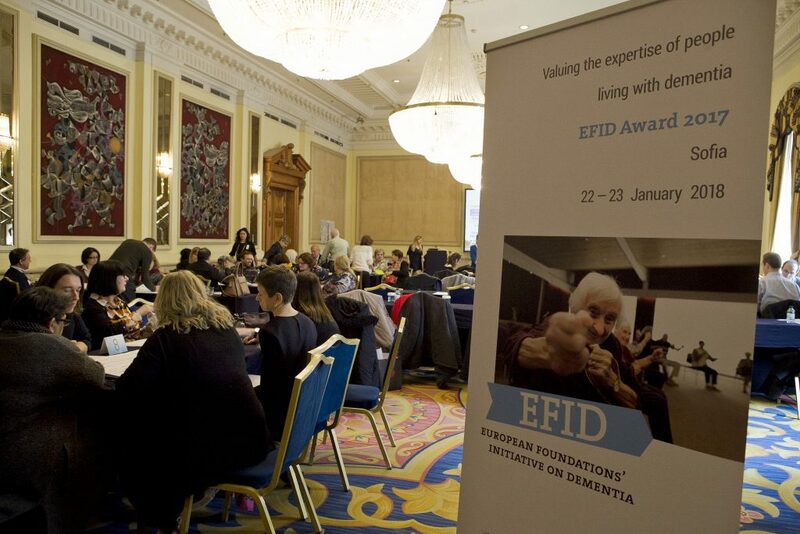 EFID aims to support civil society to take responsibility for the way people with dementia are listened to, empowered and integrated into the society. We do this by enabling a dementia-friendly and inclusive environment in communities across Europe. There was a great, homely atmosphere and plenty of networking opportunities between people attending the awards. The European Foundations’ Initiative on Dementia acts as a platform for practitioners to exchange, share information, organise study visits, develop join projects and learn from each other. Beside the funding scheme and capacity development workshops, in 2015, EFID published a study: “Mapping dementia-friendly community across Europe”. The research, commissioned to the Mental Health Foundation UK, outlines the diversity of dementia-friendly communities and collects best practices. The study and the collection of best practices are available on the EFID website. 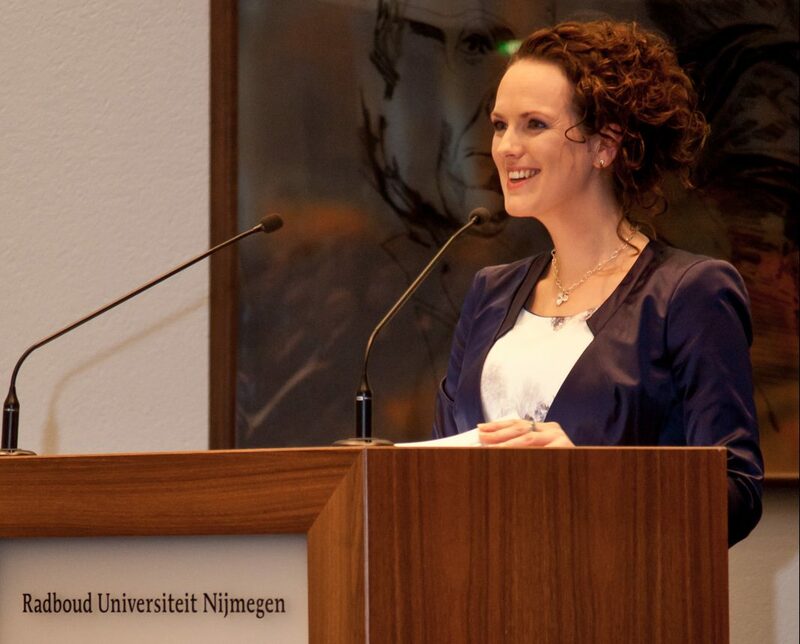 After such an enriching and heart-warming event I am already looking forward to the next EFID workshop!